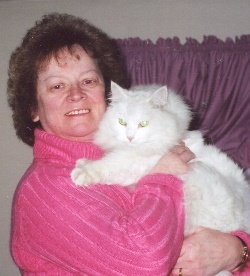 Obituary for Yvonne M (Blanchard) Mitko | Boucher Funeral Home, Inc.
Yvonne M. (Blanchard) Mitko, 68, of Gardner, died peacefully Sunday, February 3, 2019 in her residence surrounded by family, following a long courageous battle with carcinoid cancer. Funeral Services will be held Friday, February 8th from the Boucher Funeral Home, Inc., 110 Nichols Street, Gardner with a Mass at 12:00 p.m. in Annunciation Parish/Our Lady of the Holy Rosary Church, 135 Nichols Street, Gardner. Calling hours will be held Friday, February 8th from 9:30 a.m. to 11:30 a.m. in the funeral home.